Jacklyn Fetbroyt is a founding member of Kang Haggerty & Fetbroyt LLC. Jackie focuses on counseling companies and business owners through all stages of their ventures from conception to dissolution, assisting her business clients in all of their needs for maintenance and growth. Such counseling includes selecting a business entity type and forming the business, drafting the internal documents necessary for the governance of the new entity to help the company achieve its goals and prevent internal disputes among owners and employees, registering the business in appropriate jurisdictions and obtaining licenses to operate, assisting in negotiating and documenting various transactional needs (including real estate or other property acquisitions, leases, various master client/customer and vendor/supply agreements, etc. ), and providing employment counseling. Jackie works with other attorneys in other areas of practice, in-house counsel, management, and a variety of experts to collaborate and coordinate to ensure that all facets of her business clients’ needs are fully satisfied. Jackie also handles dispute resolution with the goal of resolving an issue thoroughly and efficiently so that her clients can get back to what they do best—run a business. 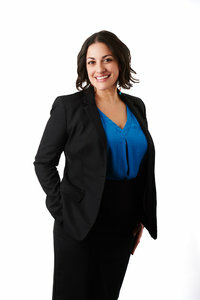 She also practices in complex commercial litigation matters, including business owner disputes, breaches of fiduciary duties, contract disputes, and other business torts, such as business fraud and wrongful interference with business relationships. Jacklyn Fetbroyt on "Negotiating Business Contracts"